When it comes to snow activities, you need the right clothes and accessories to be able to do these extreme sports efficiently well. Aside from ear muffs and thick winter clothes, you need Ski Masks to protect your entire face from the cold weather. Face and ski masks are used to protect yourself from the cold. But didn’t you know that they are used more than just to provide warmth on your face during colder months? Face and ski masks are cloth headgear that come in different styles and designs. You can wear one with only your eyes, mouth, and nose exposed or just the front of the face unprotected. They can also be rolled up into a hat or down to create a thick collar around your neck. 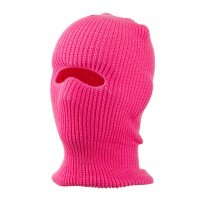 Face and ski masks or a Balaclava are made from different materials like knitted wool but they are also made from cotton, silk, neoprene, polypropylene, polar fleece, and acrylic. Face and ski masks, unlike other clothing apparels, are basically new inventions. They were first popularized during the 1854 Crimean War when the British troops would wear them to protect them from the cold winter weather. Today, they are also worn as part of winter fashion. You need the right gear to protect yourself from the cold if you love skiing. Protect yourself from the cold with a ski mask. Thus, whether you are a skier or a snowboarder, wear a ski mask before you go out and enjoy the cold weather. Without ski masks, you are exposing your entire face at the mercy of the cold weather. This can result to frostbite especially if you spend too much time in the dry winter air. Ski Masks are made from different materials but mostly wool thus they are not only warm but also comfortable and soft. The hypoallergenic materials used to make the ski mask is perfect for everyone even those who have sensitive skin. For added warmth, you can wear ski masks with Skull Caps to keep your head extra warm and prevent the loss of unnecessary heat. You can keep your head extra warm by wearing Trapper Caps. Trapper caps are especially made for animal trappers thus they are lined with insulating materials. What matters with these caps is to provide optimum protection to your head. But, if you want something fancy, then opt for Masquerade Masks.